Trying to sit in peace to eat breakfast does not happen very often (at least through the whole meal). Today I fed them and then got them situated so I could actually sit and eat too. 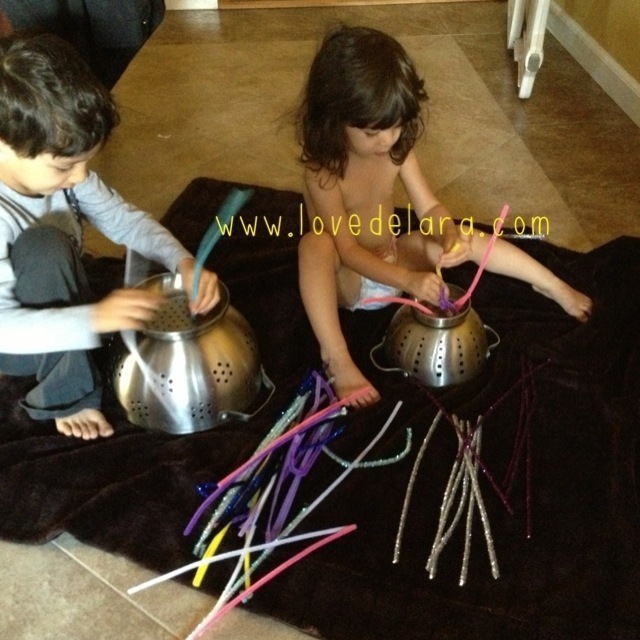 Here’s what I used: blanket, pipe cleaner & two strainers. They are still sitting & using their creativity to make something. This was a Pinterest-inspired activity. Thank God!